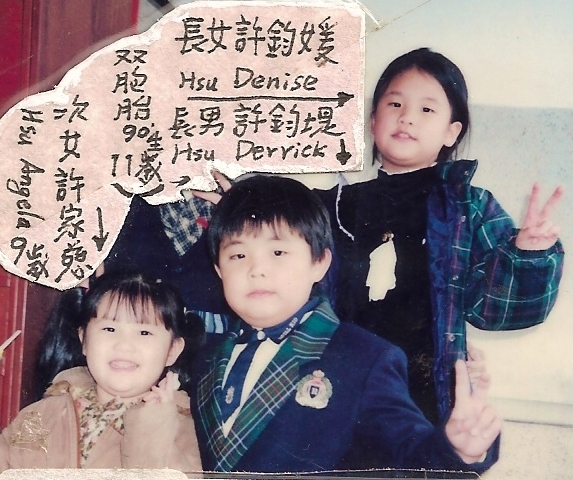 我三兒女Denise Hsu 許鈞媛,與Derrick Hsu許鈞堤,Angela Hsu許家慈,要瞭解你們體內,還有一半的優質,良善的Hsu許家血緣,要有自信,要自強,要自愛. 3.二女許家慈(ANGELA HSU)女,公元1992年2月24日Burnaby BC Canada出生。現被偷改母姓 Chiang 但無論他們現況如何?我均如同天下父親般,一直關心兒女的身心健康及幸福,一直深愛他們,一直衷心祝福他们,一直掛心用各式各樣的方法,在尋找他們,希望與他們建立聯絡後,儘快能快樂團聚.祈求協尋! Being a father, I deeply love my children, wish them a health body and happy life. 23 years ago, I worked and invested in Canada, but I can't adapt to the life of Canada. Something bad happened to me and I went to Taiwan. However,all my family(wife and children) and fortune have left in Canada. The worse, I lose the way to contact with my family. I have looking for them by any ways, but haven't had any information. My children were born in Vancouver. Hopeing find them soon, I desire to happily live with them. If something could help find them, please give me an e-mail(drk_hsu@yahoo.ca).Thank you very much. To My dearest son( Derrick Hsu現被偷改母姓Chiang)and daughters( Denise Hsu現被偷改母姓Chiang& Angela Hsu 現被偷改母姓Chiang),認識神是智慧的開端,迷失的，我必尋找；被逐的，我必領回；軟弱的，我必加強。 神的禮品規格似不太符合?神要我仍要尋回初始的一切.…?神每讓我的祈求心想事成,在手舞足蹈後,發現不太對? 神要我尋回初始的心? ==>To My dearest son( Derrick )and daughters( Denise & Angela ), In the last 12 years, I have never stop thinking about all of you. Due to my own ignorance and oversight, I did not foresee that our family was going to break up. When you all disappeared from my life, it really broke my heart. Holidays are times that families get together; instead, my heart is always full of sorrow. I can only look at your photos, and think about the good times that we had when you were still very young. As a father, it is my responsibility to be with you, to take care of you and to help and support you during these years of your growth. It must have been very hard for you all these years. I am very sorry about that. I have been grieving and felt deep guilt that I was not able to protect you, and provide a complete home for you. I have tried many different ways to look for you, but was unable to find you. I felt really powerless. I still hope that we would be able to reunite together soon. As I face the realities of life in the past 12 years, my heart have been afflicted and tormented with deep feelings of shame and remorse. I can’t begin to describe the grief and anguish I have been through. I didn’t know God before. But over these years, because of His great love, God kept sending His angels (Christians) around my life. They introduced and led me to know Jesus in a personal way. I began to experience God’s presence in my life all the time. It’s exactly as the Bible says, “Even when I walk through the darkest valley (in the shadow of death), I will not be afraid, for You are close beside me.” God’s comfort and protection is what enables me to keep going in the darkest hours. He restores my soul, and He gave me the courage and the strength to face everything in life. It certainly is my wish to have a happy reunion with all of you again as soon as possible, and that I can make every effort to express my love, care and support for you. At the same time, knowing God (our heavenly Father) in a personal way is so precious to me that I really want to lead you to know Him also as soon as possible. The most important thing I pray about is for you to receive the greatest gift God (our heavenly Father) wants to give you – His great and marvelous love! Jesus Christ, God’s Son, came into this world to save us by dying for our sins on the cross. On the third day, He rose again from the dead to prove that He is truly the Lord of life, who has the power to give eternal life to everyone who believes in Him. You can truly experience God’s grace and God’s love and goodness in your life by trusting Jesus as your Savior and Lord. Placing your faith in Jesus is the most important decision in your life. This is why I have eagerly and urgently sought the support of Christians everywhere to pray for you also. P.S. My beloved children, I want you to be proud that your dad is a good law abiding citizen, who will never break the law or do anything to bring shame to our family. If you need any outside help, I would recommend that you talk to a school counselor, or talk to God in prayer and visit a Bible believing Christian church. A friend recommends Evangelical Chinese Bible Church (see website: http://www.ecbc.org/english/index.php). In my eyes, you how valuable; I love you, I value you. 對壞人最好的懲罰就是要過著幸福生活，向前邁進，努力做想做的事`使未來無限可能,讓人生非常美好`才是最合適的回應``I am 許登昭 (DEREK HSU).懇請指教及盼大力幫忙,助我們已分離19年多的父子女四人能儘快心相近,再歡喜團聚,當感激不盡. 1989/8月我們續至加拿大購屋,供在加拿大兩位小留學生繼子們Paul Chang 張(又名博欽)書銘SU-Ming Chang(1972/06/16生),次子張雲翔 Clark Y.H. Chang(1974/05/18生)居住及建立安定的加拿大住家. 1992年四月起我們同時擁有兩位在加拿大留學大繼子Paul Chang 張(又名博欽)書銘SU-Ming Chang(1972/06/16生),次子張雲翔 Clark Y.H. Chang(1974/05/18生)們居住的加拿大住家(4616 Halley Ave. Buraby B C Canada)及我們回台灣,有培育三親生幼兒的台灣住家(1992台北市信義路二段67號)等兩個家庭. 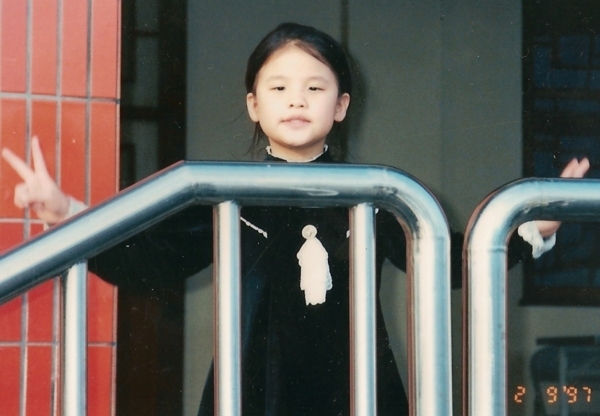 1995年我雖深受江明樺Angel M H Chiang私自離家問題困擾及打舉,但本以拖延時間,候兒女長大,喚回家庭團結,縱使資產全被江明樺Angel M H Chiang掏空,最後我與三兒女用得著的加拿大住家及台灣住家,仍可保留使用,而我自信所須的生活及生意周轉金,自己再籌劃沒問題,所以總不以為意. 1996年7~8月大繼子Paul Chang 張(又名博欽)書銘SU-Ming Chang(24歲),次繼子張雲翔 Clark Y.H. Chang(22歲）離開加拿大首次回台灣卻母子三人同進,同出,同睡四樓客房,視我父子女若無物,甚至不足五歲的小女吵要親近母親,與次子張雲翔爭執,我親見次繼子張雲翔竟讓我小女翻筋斗大哭不已,我伺機反擊,他們就進房鎖門了. 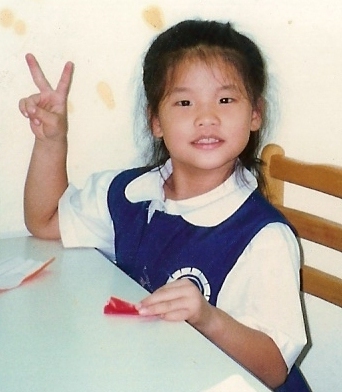 1997年6月24日,次繼子張雲翔 Clark Y.H. 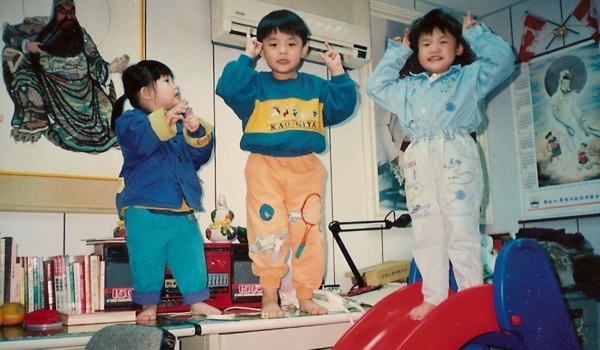 Chang當時23歲與Angel M H Chiang江明樺續自台灣住家誘拐當時要去補習學漫畫的我雙胞胎兒女許鈞媛及鈞堤(當時7歲),及二女家慈(當時5歲)離開台灣住家後,即出國到中國南京,漢米敦,溫哥華各地躲藏至今已15年多,我父子女四人均未再能見面! 1997/5次繼子Clark Y.H.Chang張雲翔於May 1997當時23歲, 自 U B C 畢業的禮物是現溫哥華C I A Financial萬全保險集團江明樺Angel M H Chiang( MING-HUA CHIANG Tel:00216047205089)的母親(婚後以離家二十多次屢要脅變賣家產藏私海外)夥同現溫哥華萬寶地產Multiple Realty Paul Chang大繼子張(又名博欽)書銘SU-Ming Chang當時25歲(888lumberking@gmail.com,Cell:00217788895306)陸續一起偽造文書,和假買賣,及黑道威嚇等不法手段搶奪財物,又在達成強奪我台灣及加拿大全部家產後,再於24 June 1997自台灣住家國際綁架我三親生兒女幼童至國外並對我友人炫耀身擁上億家產. 其中綁匪大繼子Paul Chang 張(又名博欽)書銘SU-Ming Chang及綁匪次繼子張雲翔Clark Y.H. Chang 均在加拿大居住並接受加拿大的中學及大學教育近十年,卻在大學畢業後,仍不知愛惜羽毛,,利用熟練的英語,蠱惑他們的母親Angel M H Chiang江明樺,三人一起連續在加拿大地產英文件,一再偽造我的簽名並作假見證,達成假買賣,強奪我台灣及加拿大等全部家產,同謀執行幼兒國際綁架等罪行至今. 1.綁匪大繼子Paul Chang 張(又名博欽)書銘SU-Ming Chang及綁匪次繼子張雲翔 Clark Y.H. Chang接受加拿大教育近十年,視法律如無物,一再偽造我的簽名並作假見證等作奸犯科,我只能說加拿大現況的教育失敗了! 一.TENG-CHAO HSU & CHIANG MING-HUA CHANG共有 4616 Halley Avenue Burnaby, British Columbia V5G 3E1產權登記資料(證1, 證2). 1. TENG-CHAO HSU and CHIANG MING-HUA CHANG are the registered owner (Joint Tenants) of 4616 Halley Avenue in Burnaby, British Columbia V5G 3E1. Note the Transfer of an Estate document, executed on October 26, 1989 (evidence exhibit 1) and the Land Title Registration Certificate, dated November 15, 1989 (evidence exhibit 2). 2. 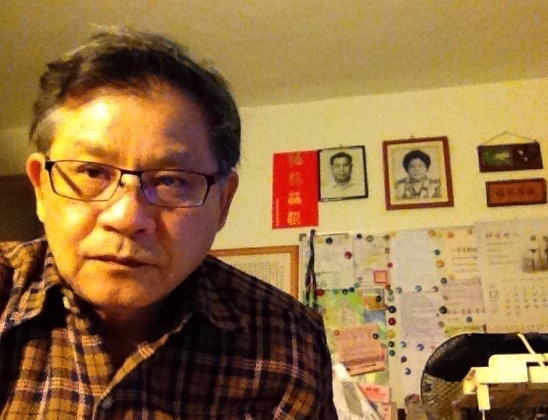 Paul Chang (SU-MING CHANG) had long have the intention to embezzle TENG-CHAO HSU’s real estate and properties in Canada. Note the 2 Power of Attorney documents he had planned for TENG-CHAO HSU to sign in 1996 (evidence exhibit 3) and in 1997 (evidence exhibit 4). These POA were not given to TENG-CHAO HSU at that time, and were only discovered later from the stuffs left in his house. Nevertheless, the intent of Paul Chang (SU-MING CHANG) to have the power over TENG-CHAO HSU’s real estate was already evident early on. 3. Winnie Chung, a sales person at the President Canada Real Estate Services Inc, was supposed to be a witness to seller’s signatures. Instead, without witnessing the seller’s signatures, she had already pre-signed a Multiple Listing Contract to sell TENG-CHAO HSU’s real estate at 4616 Halley Avenue in Burnaby, British Columbia V5G 3E1. This amounted to perjury (false witness), which made it possible for the forgery done by Paul Chang (SU-MING CHANG) afterwards. Note the pre-signed witness to seller’s signatures by Winnie Chung (evidence exhibit 5) and the document was faxed on April 17, 1997 (evidence exhibit 6). 4. Without informing TENG-CHAO HSU nor getting TENG-CHAO HSU’s authorization, Paul Chang (SU-MING CHANG) committed forgery by signing TENG-CHAO HSU’s name on the front and back pages of the Multiple Listing Contract (pre-signed by Winnie Chung as mentioned in #3) to sell out TENG-CHAO HSU’s real estate at 4616 Halley Avenue in Burnaby, British Columbia V5G 3E1. Note the “signed” contract was dated May 2, 1997 (evidence exhibits 7 and 8). 五. 1997年11月27日Paul Chang張書銘續進行偽簽名偽見證房地產買賣相關文件,仲介鍾太太說曾看到我三兒女在加拿大住家屋內熱鬧嬉戲, (證10, 證11, 證12). 5. Without informing TENG-CHAO HSU nor getting TENG-CHAO HSU’s authorization, Paul Chang (SU-MING CHANG) committed forgery and perjury by knowingly signing as a false witness (even though he knew the fact that TENG-CHAO HSU never signed) on the Contract of Purchase and Sale and related documents, selling TENG-CHAO HSU’s real estate at 4616 Halley Avenue in Burnaby, British Columbia V5G 3E1. Note the “signed” contract and documents dated November 27, 1997 (evidence exhibits 10, 11 and 12). 6. Without informing TENG-CHAO HSU nor getting TENG-CHAO HSU’s authorization, Paul Chang (SU-MING CHANG) continued to commit forgery and perjury by knowingly signing as a false witness (even though he knew the fact that TENG-CHAO HSU never signed) on the Contract of Purchase and Sale Addendum, selling TENG-CHAO HSU’s real estate at 4616 Halley Avenue in Burnaby, British Columbia V5G 3E1 at the price of $330,000 Canadian dollars. Note the “signed” contract dated December 12, 1997 (evidence exhibits 13). a.1998年1月13日 Huseh Chin-Feng (薛欽峰英文簽名) 7F No. 185 YEN PING South ROAD 見證 Deng chao Hsu (許登昭英文簽名TENG-CHAO HSU)在偽造我錯誤簽名的加拿大住家過戶文件上,以律師身份做虛偽假見證. (證15). a. Ming-Hua Chiang (CHIANG MING-HUA CHANG) had the document notarized by Chin-Feng Hsueh the first time on January 13, 1998. Note questionable details: 1. The one who forged the name of TENG-CHAO HSU spelled the name wrongly as Deng Chao Hsu. 2. Attorney Hsueh spelled his own English name wrongly as “Huech”. 3. Attorney Hsueh also wrote a different number for the address of his office as No. 185 (instead of 175) Yen Ping South Rd. (See evidence exhibit 15). 1998年1月14日 Hsceh Chin-Feng (薛欽峰英文簽名) 7F No. 175 YEN PING South ROAD 見證 Teng chao Hsu (許登昭英文簽名Teng-Chao Hsu)在偽造我錯誤簽名的加拿大住家過戶文件上,以律師身份做虛偽假見證. (證16). b. Ming-Hua Chiang (CHIANG MING-HUA CHANG) had the document notarized by Chin-Feng Hsueh a second time on January 14, 1998. Note the difference: 1. The one who forged the name of TENG-CHAO HSU spelled the name correctly this time. 2. Attorney Hsueh spelled his own English name correctly this time. 3. Attorney Hsueh also wrote the number for the address of his office as No. 175 Yen Ping South Rd. (See evidence exhibit 16). c. Unable to find his wife and not knowing where she was, TENG-CHAO HSU had already filed a police report of Ming-Hua Chiang (CHIANG MING-HUA CHANG) as a missing person in Taiwan since October 13, 1997. He had no way to contact her all these years, and had no idea of what she was doing (like having someone forged his name on official documents). 8. Based on all the official documents retrieved later, it is evident that TENG-CHAO HSU’s real estate at 4616 Halley Avenue in Burnaby, British Columbia V5G 3E1 was sold through all kinds of forgery and perjury. Note the above said TENG-CHAO HSU’s real estate officially recorded in the Land Title Office as sold (without his knowledge and authorization) on February 2, 1998 (evidence exhibit 17). 九.Paul Chang說明屋款支票具名江明樺 MING-HUA CHIANG & TENG-CHAO HSU之 說明(證18). 9. Paul Chang (SU-MING CHANG) instructed that the check must be made payable to MING-HUA CHIANG and TENG-CHAO HSU (evidence exhibit 18). 十. 江明樺與張書銘(現改名張博欽)SU-Ming Chang(a.k.a. Paul Chang)及Clark Chang張雲翔, 於1997年6月24日自台灣住家將當時原讀再興小學的我三親生幼兒女預先誘拐至加拿大住家,在達成偷賣地產及侵占該全部款項和家產後,即挾持我三兒女逃匿各地至今. 10. CHIANG MING-HUA CHANG (Ming-Hua Chiang) and her 2 sons from a previous marriage, SU-MING CHANG (a.k.a. Paul Chang) and YUNG-HSIANG CHANG (a.k.a. 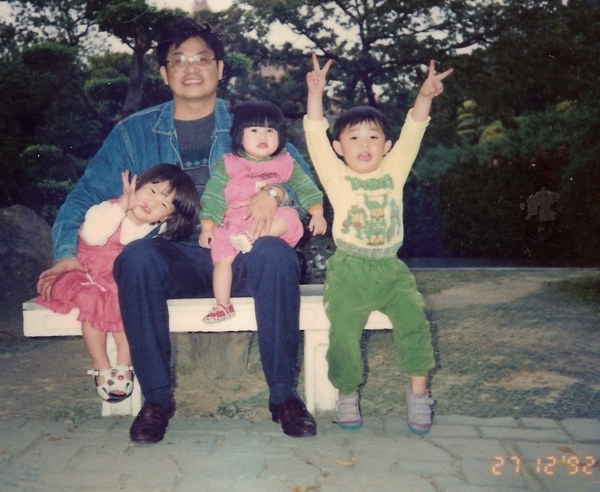 Clark Chang), abducted TENG-CHAO HSU’s 3 children who were students at the Chai-Hsing Primary School in Taiwan and secretly took them away to Canada on June 24, 1997. After they had completed selling TENG-CHAO HSU’s real estate (through forgery and perjury) and all his properties in Canada, they embezzled all the money and hid the 3 children somewhere till this day. 2.大繼子 Paul Chang 張(又名博欽)書銘(SU-Ming Chang)偽造文書,和假買賣主腦,開著名牌車自稱住百萬加元獨立屋,常在溫哥華大紀元登廣告,自稱是熱心服務,誠實可靠的地產經紀. 4.可見逃妻江明樺Angel M H Chiang及大繼子Paul Chang 張(又名博欽)書銘SU-Ming Chang和次繼子Clark Y.H. Chang張雲翔等三人無所不用其極,偽造文書,奪產,藏匿我兒女,使我失去家產,及使我家庭消失的江明樺和張書銘等人,在溫哥華是多有錢有勢,雖是作奸犯科且已是台灣通緝犯,但大家都無可奈何,現仍得意於地產及保險業界,有多橫行霸道呢? So very much want to chat with you more, I am very eager to first contact with you alone dialogue. Quickly contact with siblings came to Taiwan with me to meet. You will always be very quick and quick answer "love my father love my mother"
I am glad you are very smart, considerate, and very sensible. Sadly, I have a feeling that your future is likely to gradually lose your mother who has run away from home. At that time, your mother, she has often do not stay home all night long to make strange friends. Later, with the successor of the founder of the new North restaurant, and purple lotus vegetarian restaurant. The occurrence of layoffs, the type of adjustment, underworld violence smashed, the shop sprinkle paint ... and so on. All pushed to be sealed, I came forward to deal with the chairman, had to try to help these disputes. You go to school, she has not got up, before going to bed can not wait for the mother to come back. So I will take you to the afternoon of the embankment slope climbing, and then eat food. Usually dinner, I even to let you can see the mother, take you to our restaurant for dinner. Often run away from home all night, your mother has custom "work couples in total, income wife, daughter husband"
And often boasted to outsiders that "work couples in total, income wife, children husband"
But also from the face can not see my obedience, or yield, or begging expression. I have been trying to keep you full of family, and everyone live together. She can only see me contempt for her eyes, and silence patience, self-reliance, and strive to do business. Stupid, often tempted to know in my heart, three children, my favorite is which one? I would have expected her to be able to sweep all the cash easily, leaving home alone with a loan home alone would never go home. Finally, after discovering the concrete evidence that your two stepfathers had taken part in many of the joint forgery of Canadas documents. The original mother of your great trouble, was actually to cover two in Canada after graduation, ungrateful ex-husband son crime, but the end of the melancholy, .. In the final analysis, the ex-offsprings son who was ungrateful after graduating from a Canadian university killed his mother. Outward mothers often boast to them custom "work couples in common, income wife, daughter husband"
I also remember that day a lot of people come home to take you outside the tutorial comics, the Jun Di have a loud shout "Daddy goodbye .."
Taiwan Customs will ask for his fathers consent or call to confirm his fathers consent. Your mother has pre-stolen my Taiwan passport, a Canadian resident card, and a Vancouver ticket. And arranged for an unknown person to wait in our house, the Customs telephone to come to prove my disguise, fathers reply. After we got home, let me know that this time you were kidnapped abroad and would not come back, I did not believe it at all. 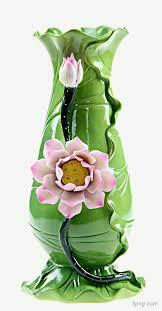 Later, these about me in the evening, go out to drink, sing the men and women, also one by one missing. Do you want to ask your mother and two step-brothers in detail for nineteen years and explain why you are hiding? Nineteen years, the Canadian school education and life experience, wild should make you a more logical and reasonable idea! I am very eager to first contact with you alone dialogue, hoping to resolve the misunderstanding, to eliminate all grievances. 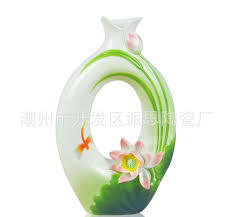 Let me help you in the future, I hope your future life in infinite possibilities, very good life. I believe that Gods plan, the time of God, wonderful unpredictable, are beautiful! 15"Anyone who attacks his father or his mother must be put to death. 咒罵父母的、必要把他治死。 "Anyone who curses his father or mother must be put to death. 被拐藏21年多兒女不與父親聯絡很不合理,情,法,也不合利,父親一直的尋找,掛念行為,豈不是都為兒女最大利益考量呢?